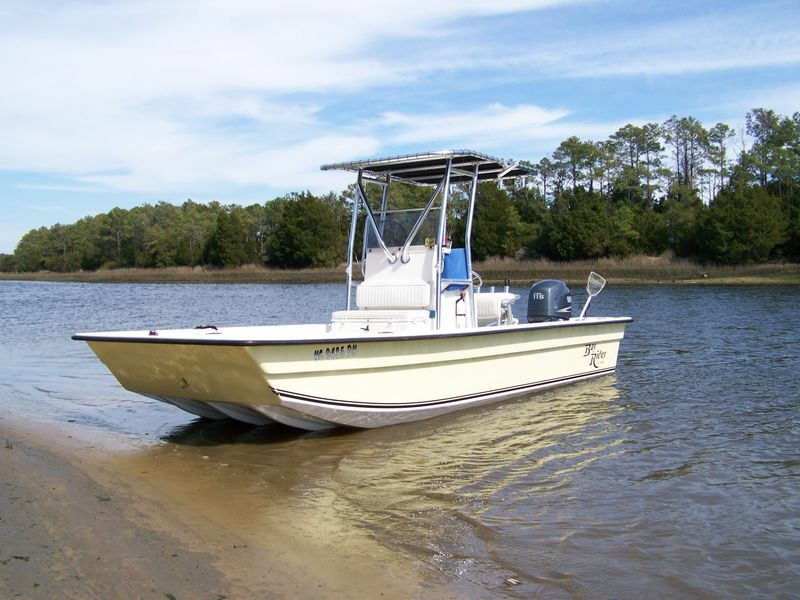 21ft Kencraft bayridder skiff with a quiet 4 stroke outboard. There is plenty of shade for them hot summer days. The benefit of the skiff is we can get to the shallow hard to reach places. So if the ocean is not your taste then join us for an awesome fun filled adventure in the Cape Fear area.